n the past week, fashion lovers from over 50 countries have poured into the capital to see collections unveiled by the likes of Victoria Beckham, Alexa Chung and Matty Bovan. 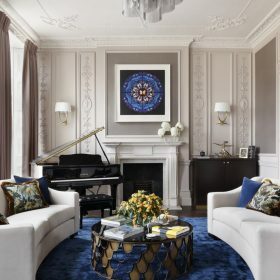 Just as interiors trends and style references hark back to bygone eras, many of this season’s strongest looks doffed a cap to the most memorable collections of AW18 and beyond. Drawing on Prada’s neons, Marc Jacobs’ exaggerated silhouettes and Valentino’s colour-saturated pieces, transeasonal, statement outfitting remains key. 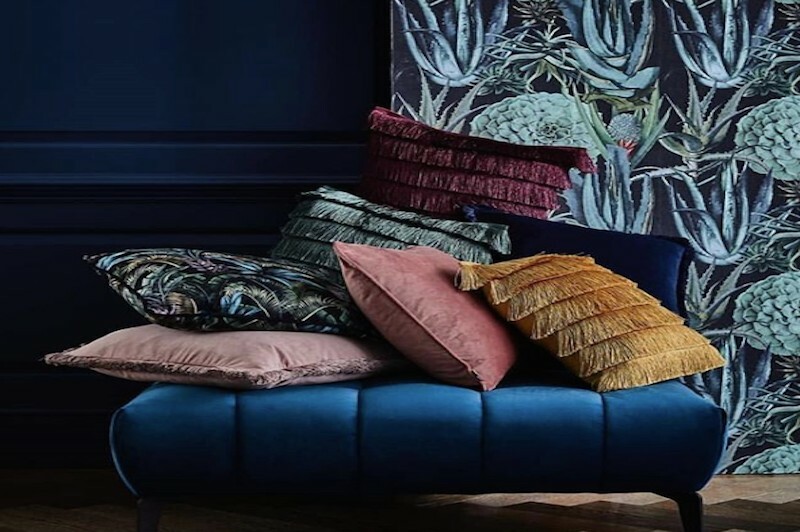 Read on for tips on how to reflect the shapes and colours of SS19’s key trends in your home. 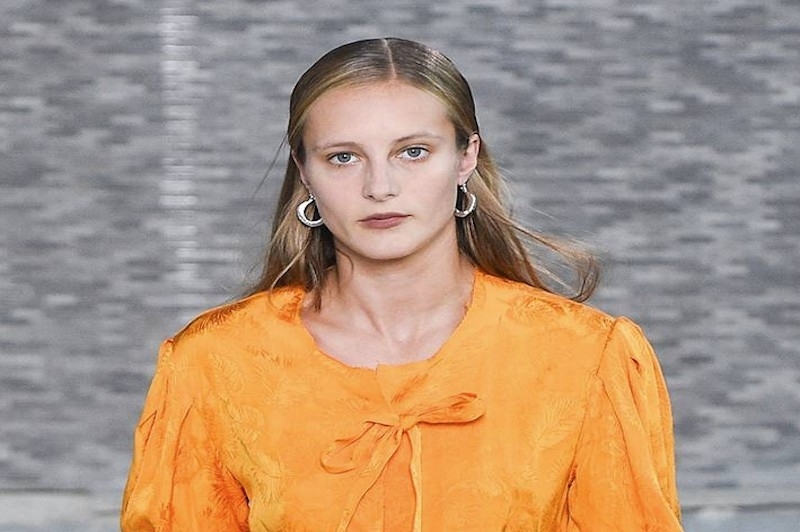 Pops of day-glo green, orange and blue lifted emerging talent Rejina Pyo’s neutral, animal print and monochrome-heavy collection, while highlighter orange, pink and yellow dresses stood out at Roksanda. Elsewhere, Canadian Turkish designer Erdem Moralioglu drew attention to his gender-fluid collection with flashes of fluoro, and House of Holland debuted catsuits in a variety of neon shades. Emulating the trend may seem a daunting prospect, but paired with the right neutrals, a splash of neon stays on the right side of super modern. White is the perfect backdrop for many neon shades, so start with a white feature wall or crisp bedlinen, ideal for highlighting an eye-popping light fixture or throw. Aqua, tangerine and zingy lime inject instant personality to safe neutrals, and you can avoid overpowering a space by sticking to key accents or statement pieces. Hot pink curtains pop against white walls, while dove grey walls are invigorated by a bright orange mural, as seen here. Though SS19’s catwalks were entirely fur-free for the first time, front row celebrities and influencers guaranteed themselves attention in high octane animal prints. 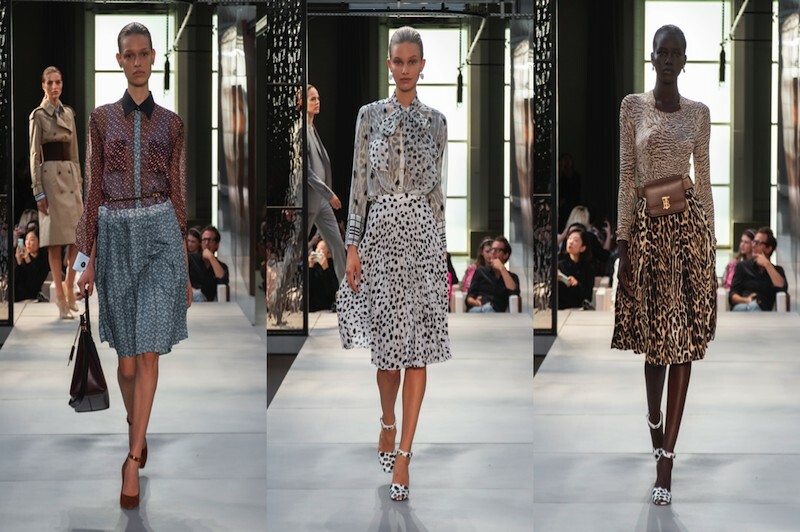 Vaguely reminiscent of the leopard blouses and snakeskin wide-legged pants shown by Saint Laurent and Chloé for SS18, flashes of leopard and zebra were ubiquitous. Riccardo Tisci proved that the trend is here to stay with a flash of print in his debut Burberry collection, while House of Holland’s 80’s suits were offset with snake print shirts. 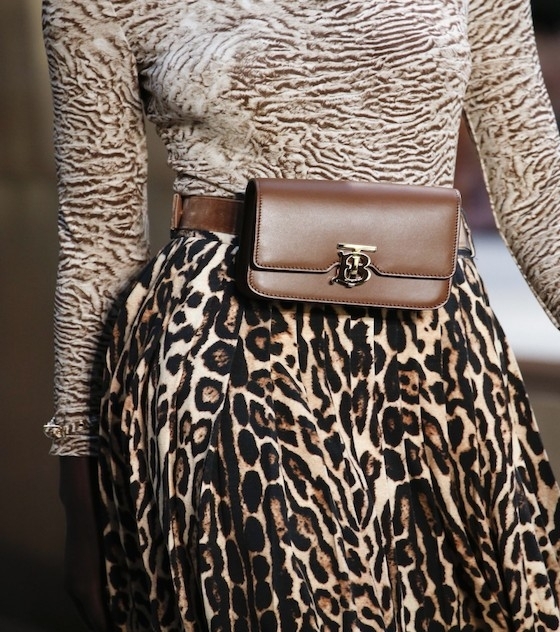 Spring/Summer might be the perfect time to explore safari chic, but the key to making this trend work is the ability to mix and match. The same rules apply for interiors, where clashing prints and textures add a modern spin to a classic fallback. 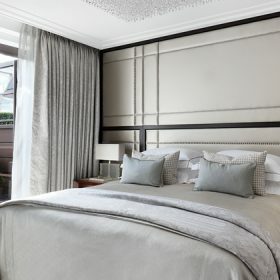 Try mixing a zebra-style wall covering with panther-effect flock velvet cushions, or experiment with vintage faux leather juxtaposed by a raffia-effect Jacquard linen, lightened up with playful white and brown checks. 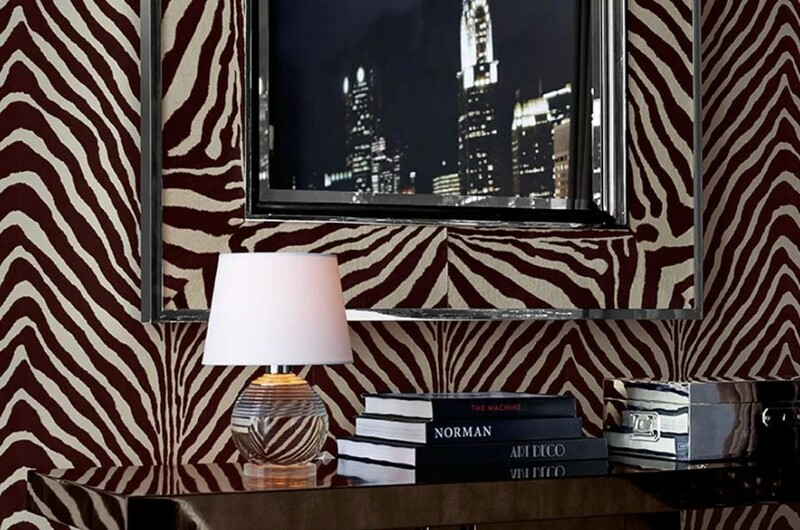 You might consider animal print your new neutral, working a room around one key feature with carefully chosen, colour-blocking pieces. 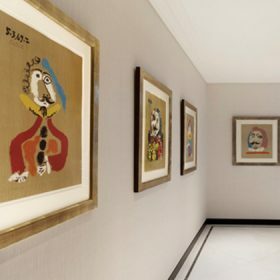 We love Ralph Lauren Home’s range of ‘animal’ wall coverings, which ooze decadence set against jet black or cream accessories that highlight their glossy surrounds. 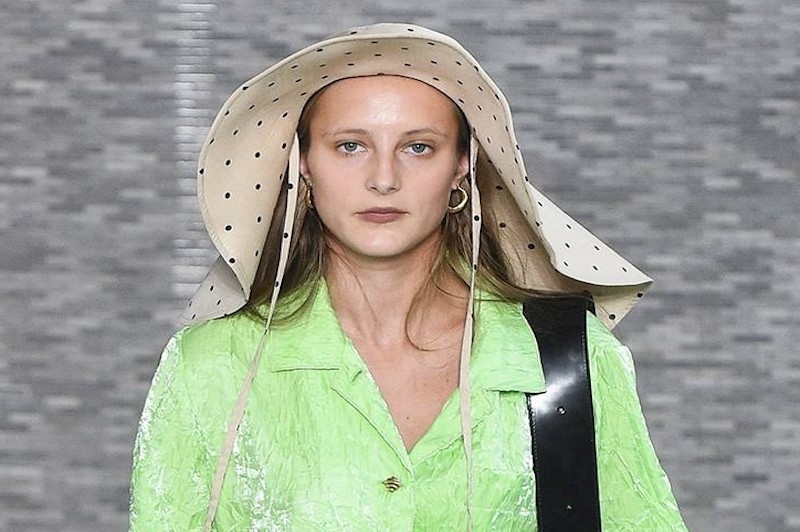 Seen at Longchamp’s New York and London showings for SS19, it’s worth mentioning that Kate Moss-esque festival chic has made a comeback. 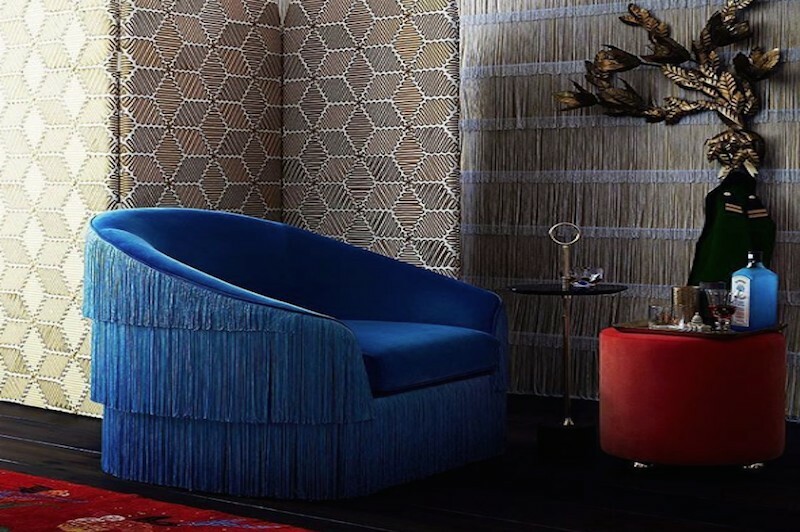 The world of interiors has seen a revival of boho tassels and fringing, popping up across catwalks (also seen at Bottega Veneta and Chloé) and filtering through to lighting by House of Hackney and chairs at Munna. Passementerie can add movement and drama to any look in a contemporary way – when used sparingly. Use statement chairs or cushions with fringe details to add visual weight to a room, or inject a little eccentricity to a neutral palette with an unusual fringed accent. See our comprehensive guide to the fringe revival for more ideas on how to enliven your space. 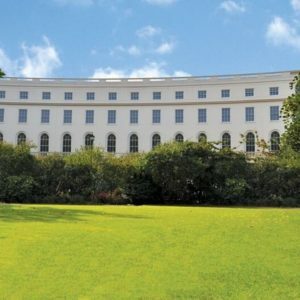 Whichever aesthetic suits your tastes, London Fashion Week’s unique mix of influences (and influencers) offers an opportunity to get creative and share ideas. Try the trends you’d be hesitant to wear, or draw influence from designers you admire in new and exciting ways. They say style starts at home, so why not try these trends for size?